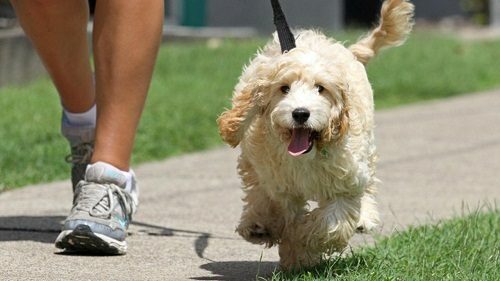 Talking your dog out on daily walks is considered a great idea, but you should know when and where you will walk him. You should walk with your dog in the morning, or in the late evening as the pavement will be cool, and you should avoid walking your dog in the afternoon, as the sun will be high in the sky. You should also avoid walking your pet in the early evening, as the pavement will be hot. 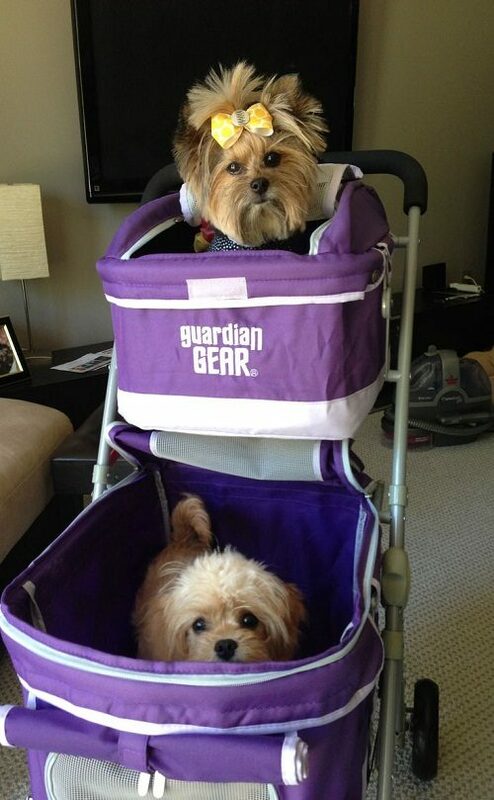 Using a stroller suitable for young and small dog breeds. 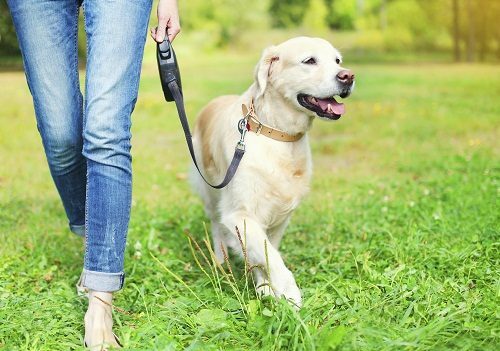 If you decide to take your dog out during the warmer times, you should stay on the grass, sticking to the shady areas, avoiding staying away from sidewalks or the paved areas to protect it from burning, being a good place to take your dog for a walk on a warm afternoon. 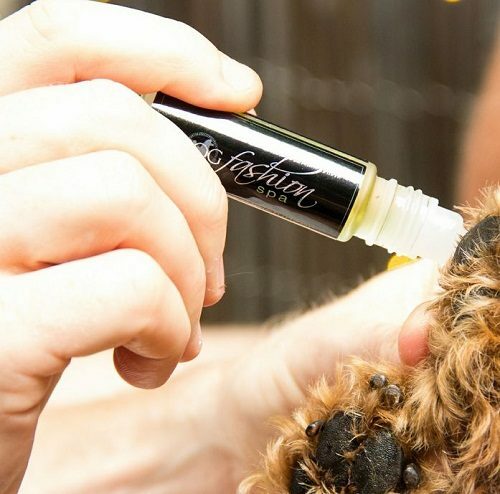 Many injuries as cuts, cracking, or peeling of the paws make your dog’s paws exposed to burns and other health problems, so you should moisturize your dog’s feet regularly to protect your dog from these injuries, and you should also use moisturizing paw pad creams. 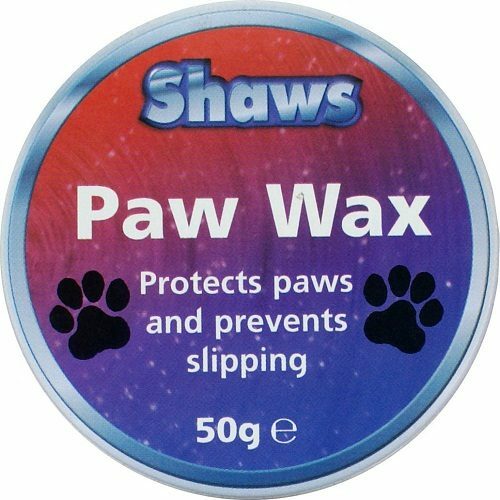 To protect your dog’s feet from hot surfaces, and harmful chemicals as road salts, you should use paw max that can be smeared onto your dog’s paw pads. You can also use some Vaseline, that isn’t considered totally good, but it is better from nothing. If you want to protect your dog’s paws from heat and harmful injuries, you should make your dog wear dog shoes, making sure to buy shoes with rubber soles to provide it with an excellent protection. You should know that not all dogs can wear dog shoes, as it is very hard to walk in them, so you should make your dog adapt to wearing them, as they are the best way of protection. 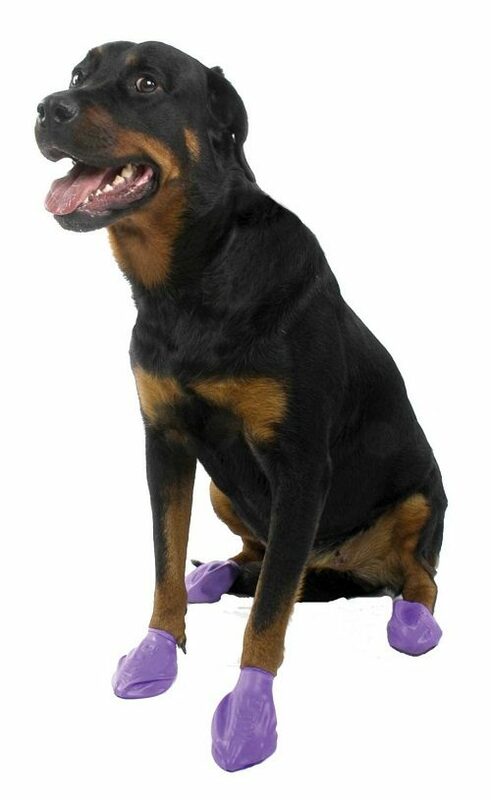 If you want to walk your dog on a warm day, your dog should wear dog booties, being a temporary solution to protect your dog from the hot weather, and your dog will be willing to wear them. If you need to take your dog onto the hot pavement, you should use socks, but not all dogs can wear them. You can use a pair of your old socks or your little baby socks, or you can buy the cute dog socks, but you should watch your dog while wearing these socks, as they might chew them. 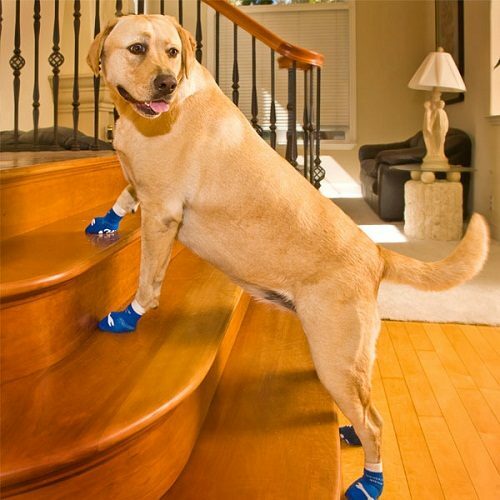 To minimize the dangers of hot pavement, and to protect your dog from potential burns and injuries, you should stick peel and stick felt pads onto the pads of your dog’s feet that will make your dog avoid slipping on slick surfaces. You may use also silicone scar pads as a better alternative, being so thin, flexible and it didn’t cause any problems for your dog while wearing it, but you should avoid the smooth floors, as it will cause your dog slipping. 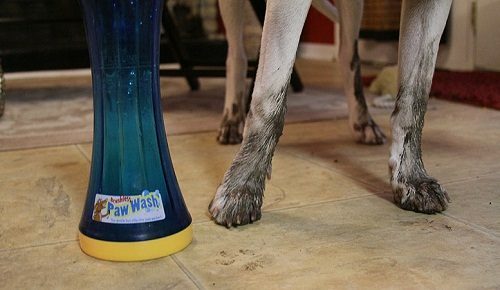 You should wash and check your dog’s paws regularly to discover any signs of damage. If you discover any problem or you noticed that your dog is acting strangely on its feet, you should take it to the vet to check the danger of this injury. You should wash and moisturize his paws, besides checking his paws, doing three things at the same time to protect your dog’s paws. If you are a dog owner, you should keep your pet safe during the summer season, by avoiding leaving them in hot cars, while you go on to the store, providing it with fresh water and protecting its skin from the sun rays as it will cause sunburns to your dog. If your dog’s skin looks like leather or turns white, then your dog may have a sunburn. Dogs that get sunburns may be exposed to getting skin cancer later, so you should take your pet to the vet to treat it through shaving the hair off of the burn area and washing it with iodine. Then use a topical cream as silver sulfadiazine, then you can take your dog back to the home after being treated, but you should follow some instructions until the burn heals completely. 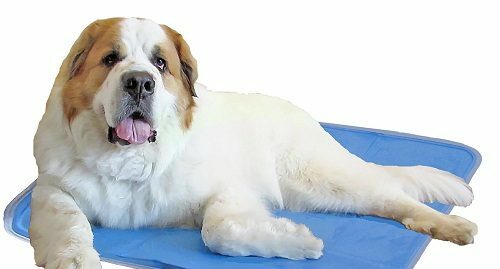 If the sunburn is deep, your dog should be sent to the hospital, been given intravenous fluids to keep it hydrated and provide it with necessary electrolytes, then the burned area will be shaved and cleaned with iodine. The wound should be changed every day. If more than 15% of your dog’s body has a sunburn, it will require skin grafts.